SCVHistory.com LW3279 | St. Francis Dam Disaster | Preparing to Blow Up the Tombstone, 4-16-1929. 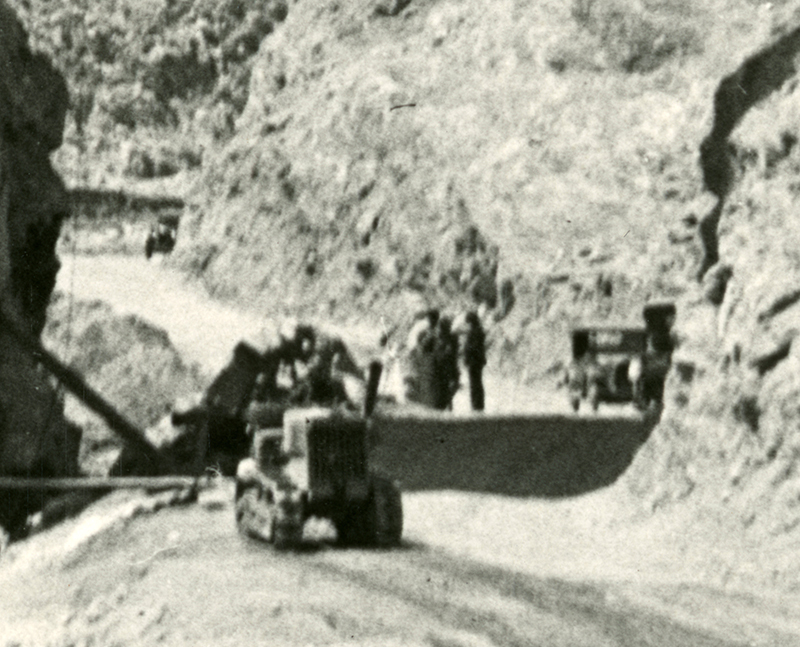 Apri l6, 1929 — Workers prepare to dynamite what we call the "tombstone" — the center section of the St. Francis Dam that remained standing after the dam collapsed on the night of March 12, 1928. 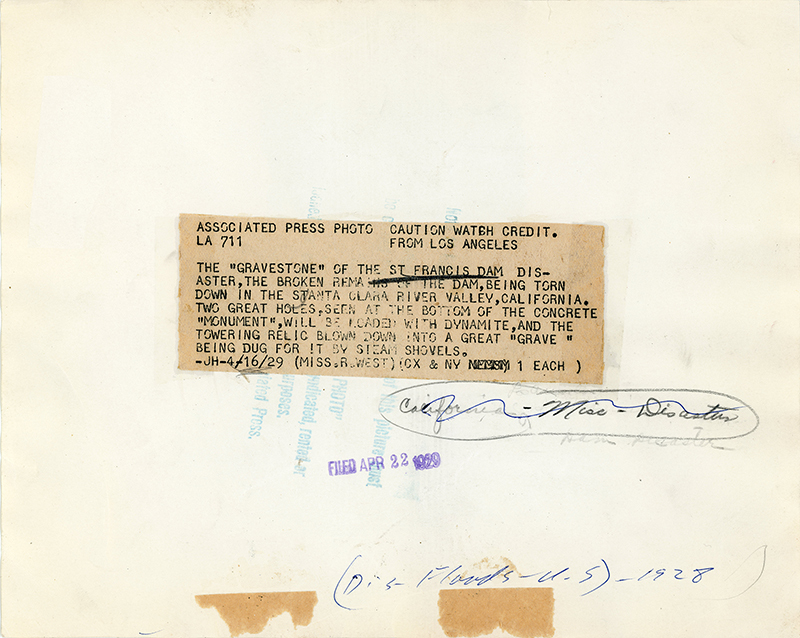 Note that they're calling it the "gravestone" and "monument" in 1929. The work is being done on the north side where the reservoir was. 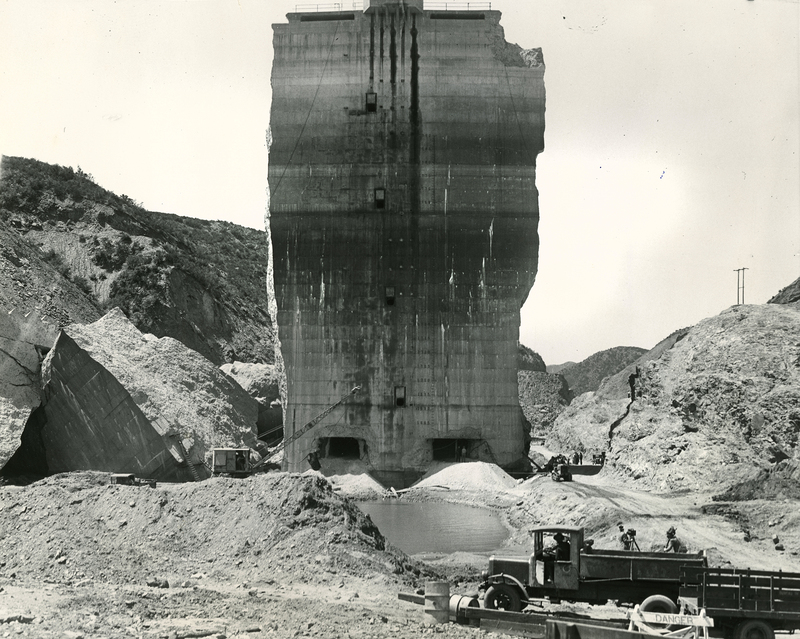 The "gravestone" of the St. Francis Dam Disaster, the broken remains of the dam, being torn down in the Santa Clara River Valley, California. 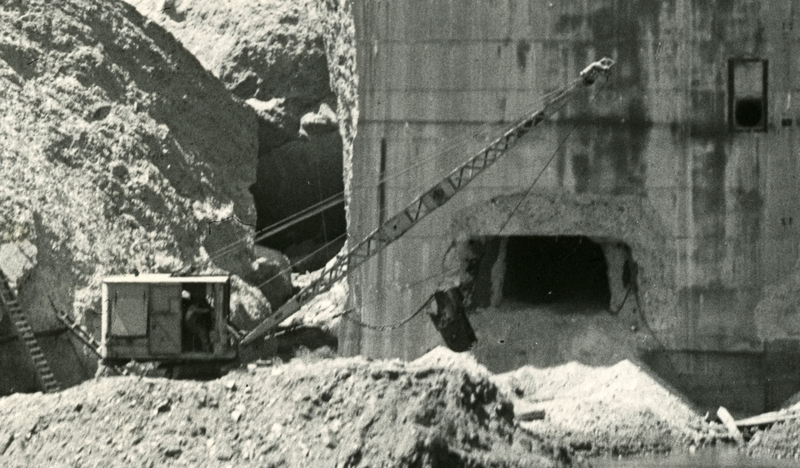 Two great holes, seen at the bottom of the concrete "monument," will be loaded with dynamite, and the towering relic blown down into a great "grave" being dug for it by steam shovels. Cameras are being set up to record the event; see detail from image below. LW3279: 9600 dpi jpeg from original photograph purchased 2018 by Leon Worden.